Sowing of smaller seeds or seed that is hard to find is advisable to do in sowing tray, for the simple reason tiny seeds may get wash off due to the rising and lowering of water in the grow bed. First, get the potting mix prepared. I use premix from flower nurseries that's within my home vicinity. 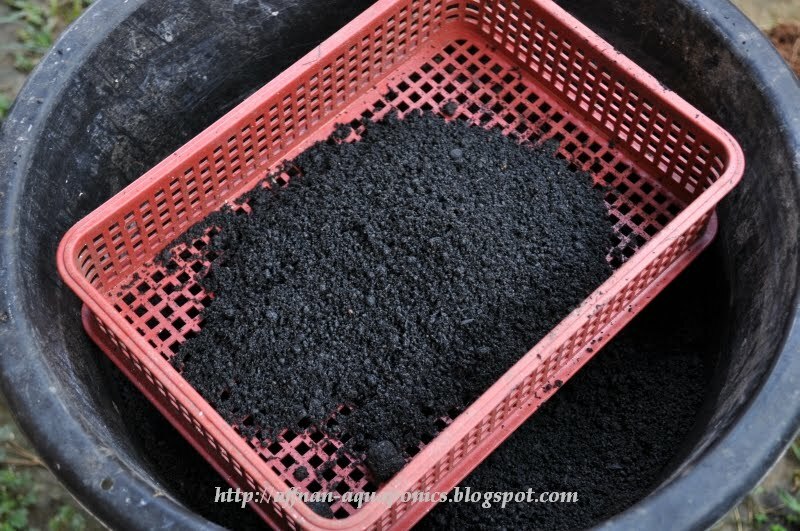 The mix consist of sand, peat and some sandy loam. Their exact ratio I do not know, if you are preparing potting mix there are lots of information available on the net. Backyard Gardener is one place to learn about potting mix. Potting mix will have bits and pieces of stones, stick and bigger piece of clay, this I separate using a plastic bin with holes, it work great as a sieve. All the bits that I don't want from one bag of potting mix for my sowing tray. These can still be use for normal potting not a problem. 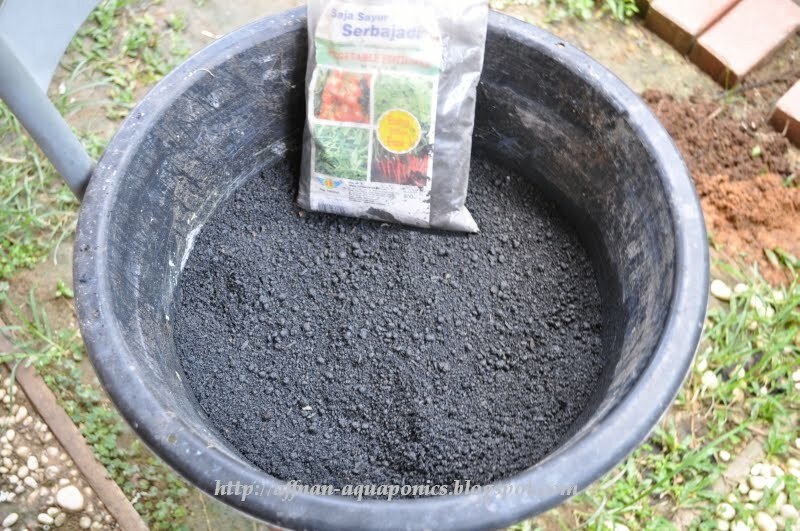 Potting mix have little nutrient in it, mix some fertilizer, I use organic either from chicken or bat dropping. Shown here is from Bat's dropping it is powdery and easier to be mix with sowing mix. 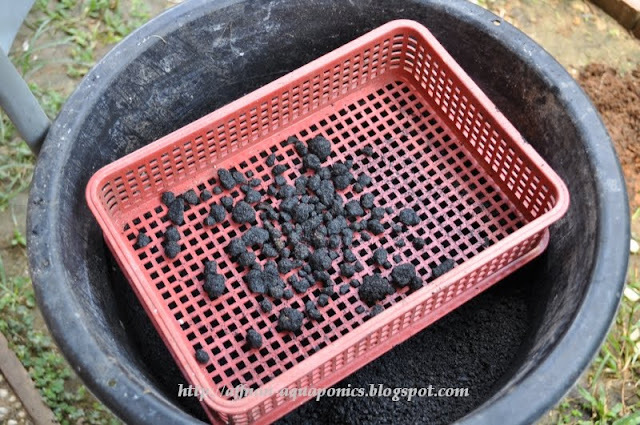 These organic fertilizer from chicken or bats are easier to be use, those chemical base are not recommended for amateur. 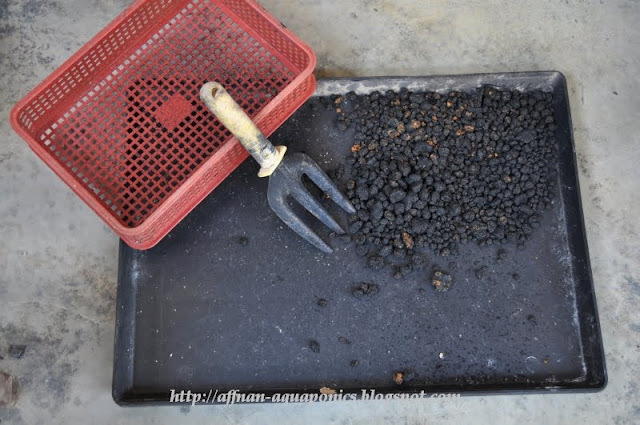 Those fertilizer can do more harm than good if wrongly use. Chicken dropping's fertilizer are usually sold in pellets form so a bit unsuitable for sowing containers. Sowing tray ready on a make shift sowing area. 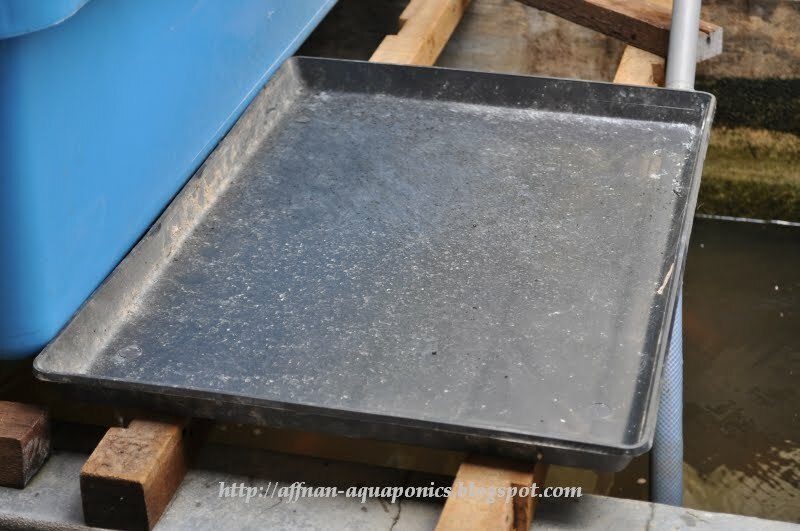 This tray below the sowing tray is from rabbit's cage that use to catch their droppings, its handy and you can buy them separately to be use with sowing tray. 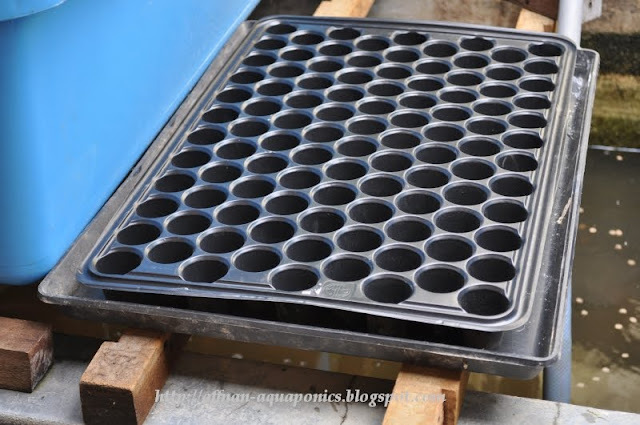 The good part about this tray is when you water the sowing tray, what left in this tray is not that much to cause water log problem on the soil. You could drill holes on the sides to adjust water level if you find its too high for your sowing needs. 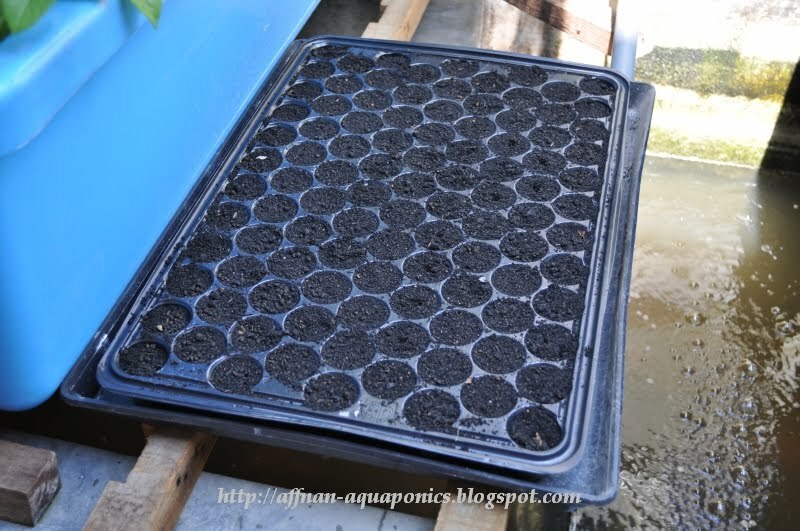 When you put the soil in this tray, start with the center and work you way gently outward. Put a lump of soil in the center and use a piece of cardboard or any flat piece of wood or plastic and slowly push the soil outward filling those space one by one. Gently depress each space to slightly compact the soil and add as necessary. Use a pencil to poke the soil for seeds. These are house hold plastic container, try those shops that sell house utensils they have them.